Oh, and the protagonist sporting it, too. This weekend, a new Yu-Gi-Oh! anime was revealed. Know what that means? New Yu-Gi-Oh! anime hair. 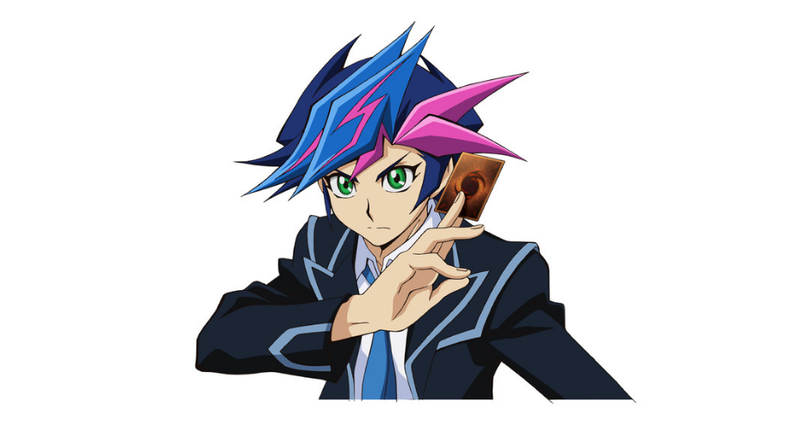 Because previous duelists have had amazing hair, with Yami Yugi, perhaps, having the most amazing. How do you top this? Easy, you don’t. Though, this was pretty great, too. The latest protagonist is named Yusaku Fujiki. He is a high school student, who, according to one report out of the Konami presentation, does not like to stand out. The sixth Yu-Gi-Oh! anime will begin airing spring 2017 in Japan.